Red, pink, blue, purple wow so many glossy colors. That was my reaction when I got a wonderful crayon box from my father as my birthday gift. The color box was an expensive one costing Rs. 100 (it was a big deal in 90’s). I was super excited to show it to my friends. I used to carry in my school bag every day. I was in class two at that time. One day in games period all girls of my group decided to play makeup game. We used to tag along with our mothers to parlors or see them every day getting ready. Little girls are charmed a lot by makeup and dream of getting older soon. So we were using my crayons as lipsticks and pretended to put some on our lips. It was fun, silly game for our age group. I remembered this moment instant when I saw Maybelline BabyLips Candy Wow Range. Don’t these look like glossy crayons, but this time they are actual product. Just look at the picture below to know why I am saying so. 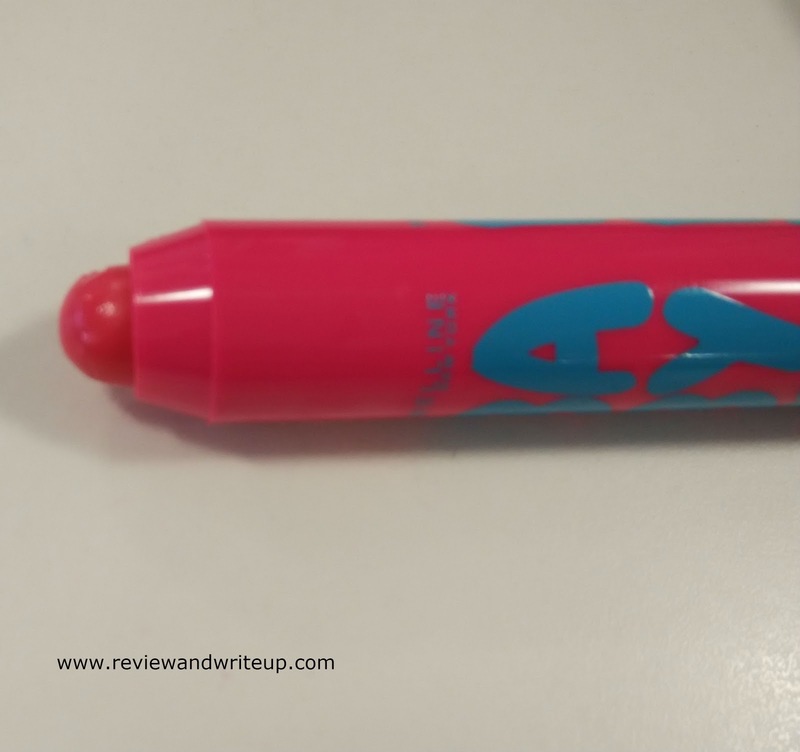 Packaging – It’s very different from other Maybelline baby lips. It looks like a thick sketch pen/ crayon pen body. You have to twist it to see the candy wow stick. It’s definitely first lip balm in a pen. I have full confidence that packaging will be loved by all the girls. 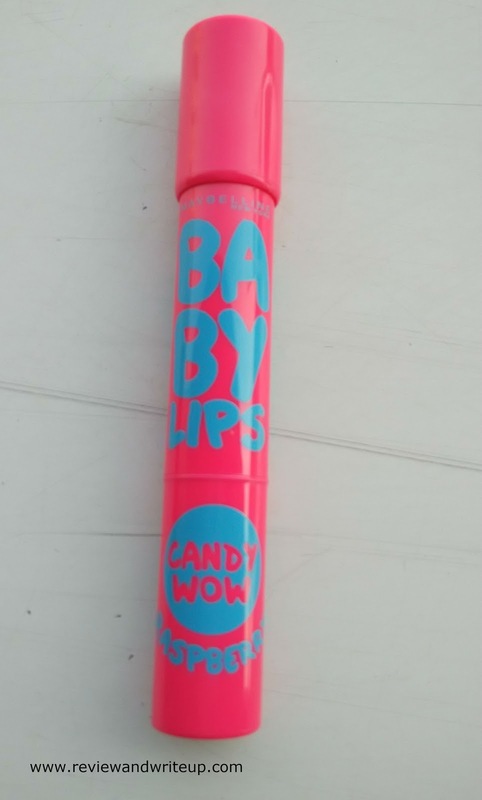 About the product – Maybelline candy wow is available in five amazing variants raspberry, mixed berry, orange, cherry and peach. 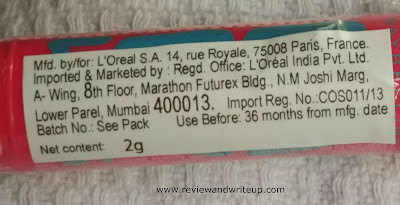 Maybelline claims that lip balm is enriched with vitamin E and keep lips soft and supple. My first variant from the new lot is Raspberry. I wanted to try something pinky-pink. My experience – First thing I thought that application of only raspberry lip balm will be sufficient and I can skip my lipstick sometimes. Well that was not the case at all as its tinted lip balm for sure but I got this color (pic below) after gliding it three times. I have pigmented lips so I need something stronger color in that area. But it’s good for me in one sense as I can apply this while at home and my lips look fine. Reason candy wow make my lips look naturally pink, isn’t that great? Candy wow is perfect for people with less pigmented lips. 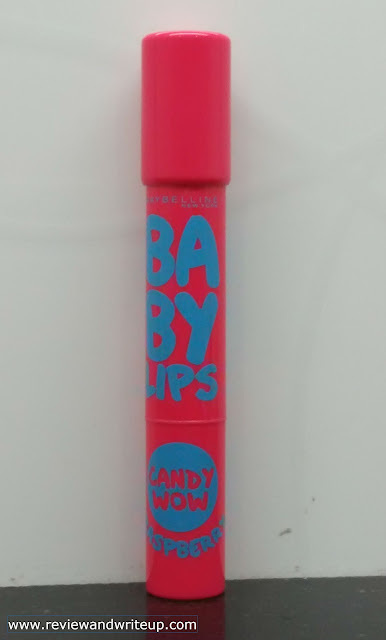 The lip balm has nice fruity scent like other baby lips. I definitely loved its packaging. It’s amazing. The lip balm has all the goodness what lips deserve. In this severe winters once applied on lips can keep lips moisturized for up to two hours without eating or drinking. If you have a glass of water or coffee or light snack in between than you need to apply it again. For more intense color you have to glide it three to four times. I wish it was more pigmented. So in whole day I have to apply like 5-6 times. Lips appear softer, supple. It’s priced only at Rs. 275. I would like to try more variants of candy wow. The shade is nice. Like you said it would have been nice where it pigmented more. Lovely shade...though like you said it is less pigmented than other colors i have seen.. I think it is the most pigmented lip balm I came across. 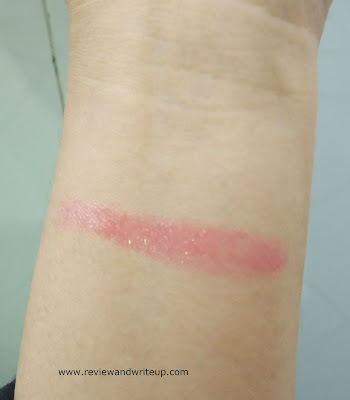 Still it disappoints people with pigmented lips. I love this color and it is in my wish list.